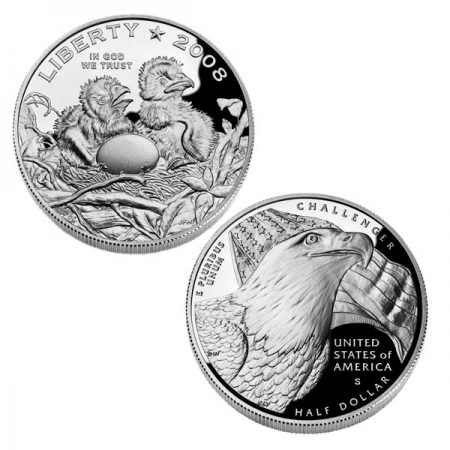 On January 15, 2008, the United States Mint issued three limited-edition commemorative coins. They celebrate the dramatic comeback of the Bald Eagle to America’s lands, waterways and skies. They also mark the 35th anniversary of the Endangered Species Act of 1973. 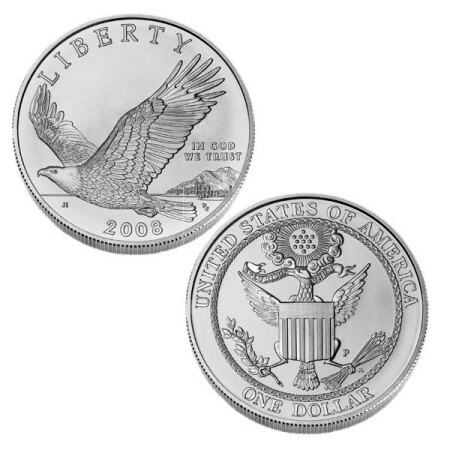 Coin sales are deposited into a special fund for support of Bald Eagle projects nationwide. 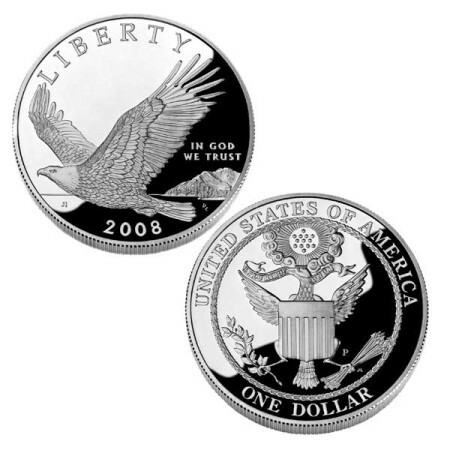 The coins are no longer available through the U.S. Mint (sales ended in December 2008), but the American Eagle Foundation (AEF) now has a limited supply of these valuable collectibles available for sale – including the impressive half-dollar clad coin featuring the stately image of the celebrity Bald Eagle Challenger. “This is the first time in our country’s history that the likeness and name of a specific famous animal (or eagle) has appeared on official legal tender United States coinage,” said AEF founder & president Al Cecere. This rare first in our nation’s coinage gives both serious and novice numismatic enthusiasts a worthy and compelling reason to purchase one of the remaining 16,000 limited edition “Challenger” proof coins before they sell out altogether. They are presently being offered by the AEF for $22 each – but the price may increase as time goes by and supplies dwindle. A complete description of the Challenger half-dollar coin, as well as information about the five-dollar gold and silver dollar eagle commemorative coins can be found below. The coins can be purchased online by clicking on the shopping cart button indicated to the left of each item. You may see a larger image of the coins by clicking on any of the coin photos. Again, our supply is very limited. After these coins are gone, there will be no more available. As the years pass by, they may only be available from coin collectors at probably much higher prices. We expect these commemorative Bald Eagle coins to deplete quickly, especially as gold and silver prices continue to rise. 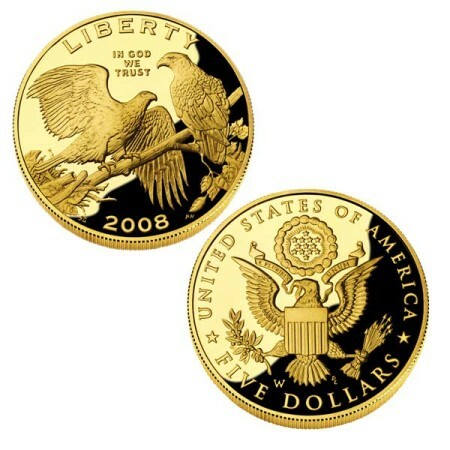 Please purchase your coins today and help us keep America’s eagles flying strong and free forever.